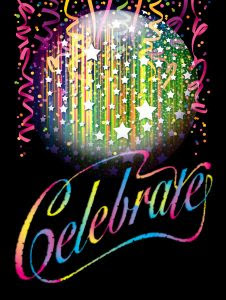 After an awesome Blogoversary celebration, we're going to continue the excitement. Liz Curtis Higgs' book, "Grace in Thine Eyes," is our next giveaway title. Davina McKie is seventeen. Although she cannot speak, her talent as a musician communicates her love of life. To enter the drawing, comment and leave your email address, using the anti-spam format (myname (at) gmail (dot) com). Entries are limited to the Continental U.S. and Canada. A winner will be drawn on Sunday, May 17, 2009. Anyone who advertises the giveaway on their blog and sends me a link, will be entered twice. Don't miss the fun. Susan, I would love to be entered for the contest. Thanks! Cool. You can enter me. I've been interested in that story. Esp. the old testament account. I've always wondered at the contrast between the bible saying the guy raped her to saying the guy loved her. Huh. Consider yourself entered. :) I know you'd enjoy the book. I'm having so much fun doing these drawings. Don't forget - if you post about the contest on your blog, you'll get a second entry into the drawing. What a party! Please enter me; I love Liz Curtis Higgs! I love her books!! Enter me please!! Woohoo! It isn't over yet. We still have another two weeks after this one. If you post about the drawing on your blog and send me a link, you'll get an extra entry into the drawing. Susan, thanks for offering this. I've always enjoys Liz Curtis Higgs. How do I go about posting this on my blog? Do you need technical help or just direction on what to include in the post? A short blurb about the giveaway, including the author/title, an extra entry if you post on your blog, and a link to the post is sufficient. Then send me a link to your post about the drawing. If you need techy help, contact me at susanjreinhardt (at) gmail (dot) com.